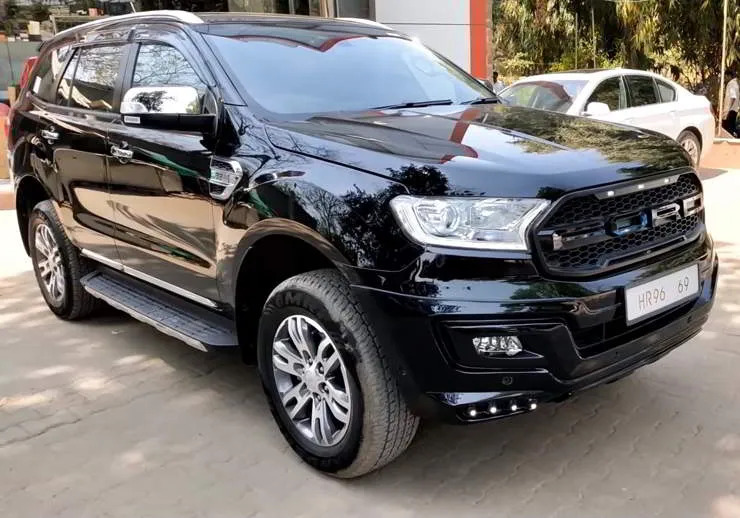 Ford has been selling the Endeavour SUV in India since 2003 and it is one of the most recognized names in the Indian market. The latest generation model is quite popular too and rivals the likes of the Toyota Fortuner and the Mahindra Alturas G4 in its segment. The Endeavour is sold as the Everest in most of the international markets. The massive SUV is also quite popular among modification enthusiasts and there are many great examples of modified Endeavours present across the country. The video below by Turbo Xtreme shows another modified Endeavour which has been done in a classy way. Let’s take a look at the video before moving on the other details of this mod job. 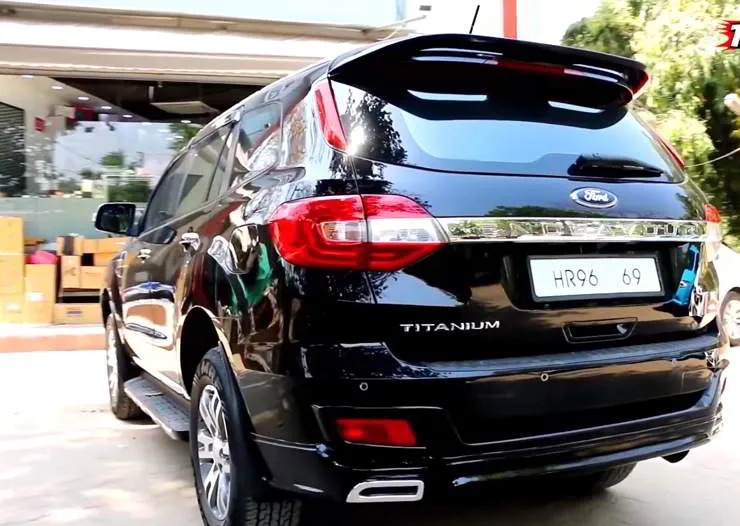 As seen in the video, this Endeavour is aptly called the black edition. It has been fully draped in black and the modifications done on it further compliment the overall theme. Talking about the changes done on the SUV, the front end gets a new blacked-out honeycomb grille with FORD written in bold across it. The grille is topped by three LED lights. The bumper is a custom unit and comes with fog lamps along with LEDs at the bottom end on each side. The front end looks butch without being too loud or intimidating, which is in accordance with the owner’s demand. Moving on to the sides, the noteworthy feature here would be the automatic folding floor-board which is yet to be installed by the modifiers. An automatic folding side step board means that it comes out as the doors are opened to let the passengers step on it and exit the vehicle easily. As soon as the doors are closed, it neatly stows itself away under the car and is not visible until the door is opened again. Moving on to the rear, here the Endeavour has been fitted with a custom rood spoiler painted in black. Also present are LED reflector lights as well as a custom diffuser with fake chrome lined exhaust tips on either side. Talking of the interiors, they are largely stock save for some changes like the formats and door curtains. The wheels have also been kept stock as per the need of the vehicle’s owner. The wing mirrors have silver coverings on them and overall, this black edition looks quite sober and at the same time classy. Before we forget, another interesting bit this Endeavour has been fitted with is an aftermarket HKS exhaust unit, which gives it quite a good note when revved. This exhaust system by HKS is specially made for diesel vehicles and enhances the swooshing and whistle of the diesel engines. One could modify their own vehicle on similar lines as these types of modifications won’t burn a big hole in your pocket.